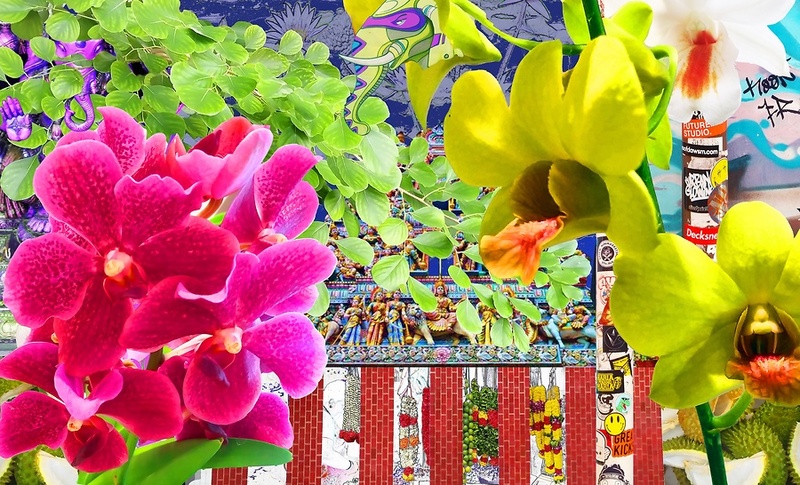 Vibrant colours and flowers scream out the essence of Little India. The iconic Hindu Sri Veeramakaliamman Temple is hiding in the background of this piece, with Ganesh keeping an eye on what's going on. Street art and stickers from the local area blend the spiritual with the urban.